Helen Conrad, 74, widow of Quenton Eugene Conrad, died December 4, 2018 in Frankfort, Kentucky. She was born on August 28, 1944 in Georgetown, Kentucky to the late Hager Farris and Edith Marie Elder Church. Helen was a member of Northside Christian Church and a homemaker. 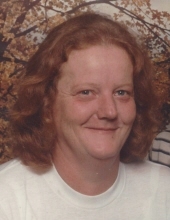 She is survived by her sons, William Conrad of Frankfort, Kentucky and Bobby (Janie) Conrad of Georgetown, Kentucky, grandchildren, Emily Ann Conrad and Brandon K. Conrad, sister-in-law, Shirley Ann Gross of Georgetown, Kentucky and brother-in-law, Harold Conrad of Frankfort, Kentucky. Visitation will be 5pm-7pm, Thursday, December 6, 2018, at Tucker, Yocum, & Wilson Funeral Home. Service will be Friday, December 7, 2018 at 10am at the funeral home with Rev. Anton Folz officiating. Burial will be in Georgetown Cemetery with the following serving as pallbearers, Jerry Jones, Bobby Conrad, William Conrad, Brandon Conrad, Tinsley Berryman, and Tommy Berryman. To send flowers or a remembrance gift to the family of Helen Conrad, please visit our Tribute Store. "Email Address" would like to share the life celebration of Helen Conrad. Click on the "link" to go to share a favorite memory or leave a condolence message for the family.